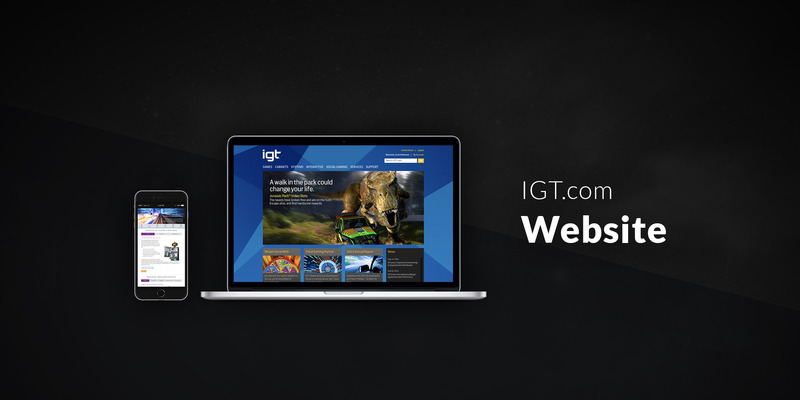 As part of IGT’s web services team, I was tasked to rebrand IGT.com featuring IGT’s new brand identity and logotype. This was my third redesign of IGT.com. This portfolio item also features the new IGT.com “Services” section I designed/developed. This section allows IGT’s customers to view a wide breadth of service offerings in an easy-to-digest format. I was also tasked to design and build a new service ticket monitoring system tying into salesforce and custom databases displaying service ticket info to the end-user. IGT maintains copyright over any IGT related examples used within my portfolio.